Many children find visiting the dentist to be a bit scary or intimidating at first. 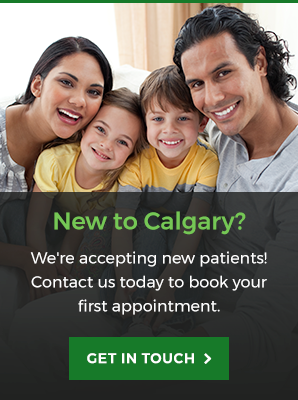 Here, our Calgary dentists explain how you can talk to your kids about these initial dental appointments, to set them at ease. If you think about it, it’s understandable that a child may feel nervous or scared when they first visit the dentist. After all, they’re going into a new environment with new people, and unfamiliar technology and tools everywhere they look. And for children who aren’t accustomed to dental care, having their mouths examined may feel intimidating and invasive. Having said this, it’s important that your child’s first dental experience is positive. Those initial visits can set the tone for your child’s future attitude to dental care, so you'll want to get them off to a good start! One of the best things you can do to make your children’s first dental appointments non-threatening and positive is to prepare them ahead of time. Sit down with your children when they’re feeling calm and relaxed, and have a chat with them about what to expect. Here’s some advice about what you should – and shouldn’t – say. Choose your words wisely and don’t be too specific. 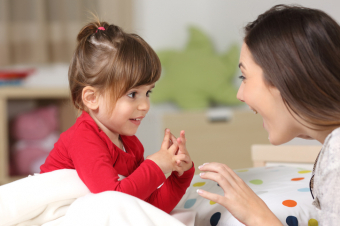 Try to avoid words that might seem scary to your child. For example, "needle" or "drill" might be alarming. Instead, you could replace "needle" with "spray" or "spritz" , or try "whistle brush" instead of drill. "The dentist is going to count your teeth and make them nice and clean." If your child asks follow-up questions, be honest, but continue to keep it as simple as you can, and use mild language. Play down your own negative feelings and experiences. Many adults feel nervous about visiting the dentist as well. It’s quite normal, but you probably don’t want to pass those feelings on to your children! "Daddy sometimes gets worried about visiting the dentist too, but Dr. Tuma is always kind, and takes really good care of my teeth. I trust him completely!" For more advice on talking to your children about visiting the dentist, feel free to get in touch! We’re glad to help!